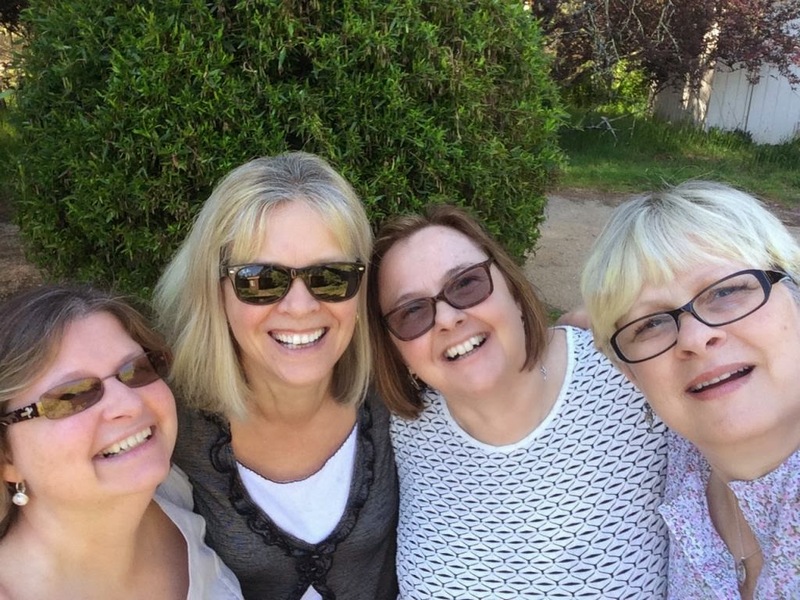 It was so nice to get away for a few days to country Victoria for a G'nT Sisters get away in Ballarat. 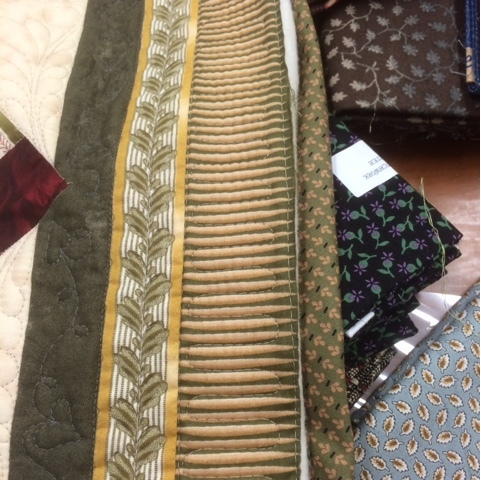 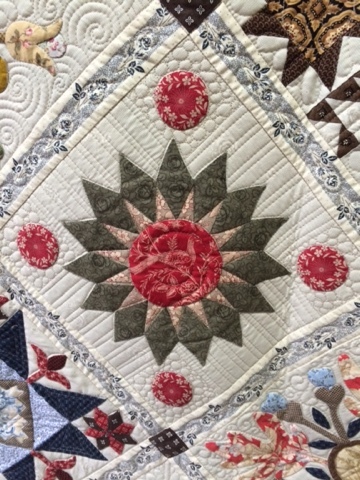 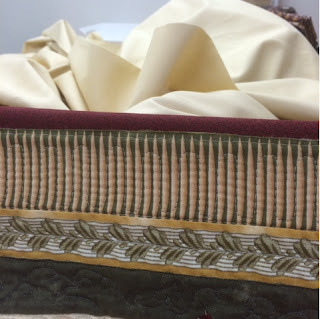 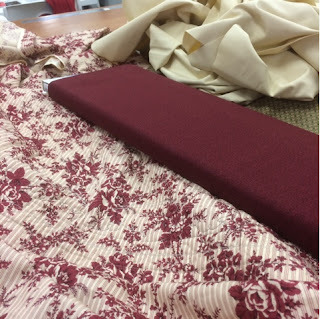 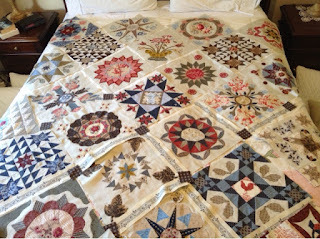 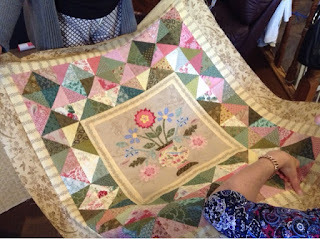 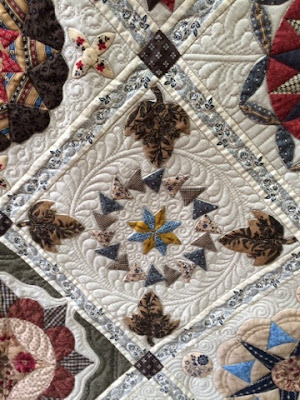 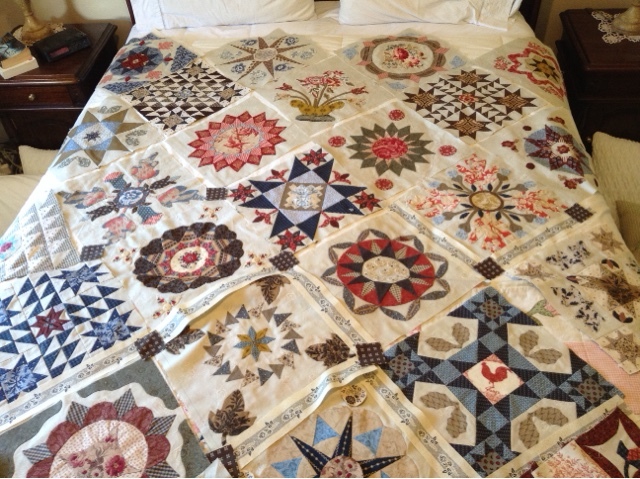 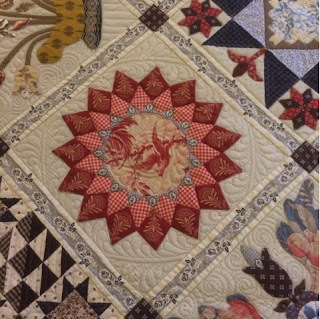 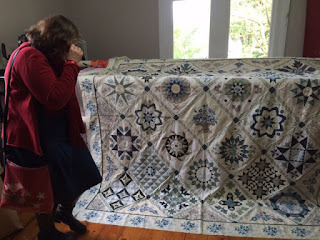 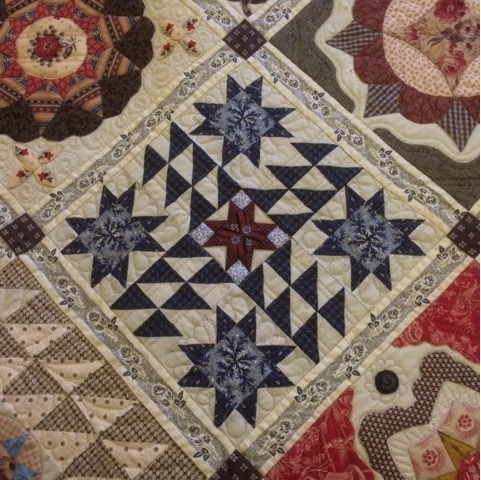 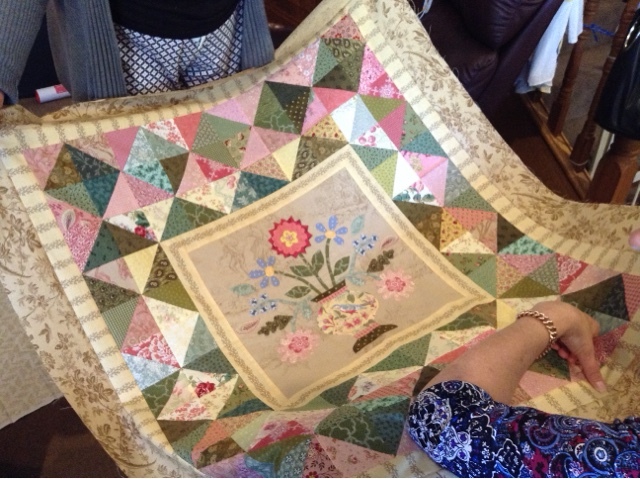 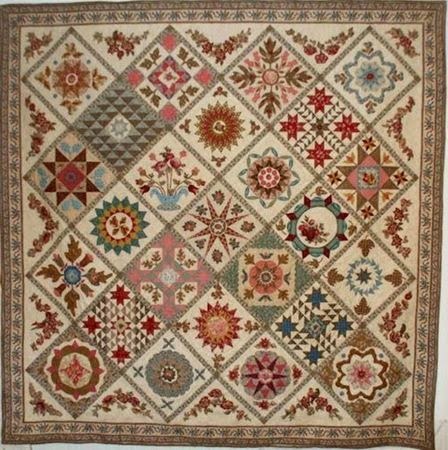 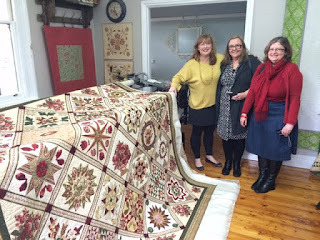 Judy showed her AWS quilted top that just needs the binding sewn down (see previous post for pics) and a beautiful lap quilt based on Di Ford's Jane's Garden design. She has used some leftover fabric from AWS. 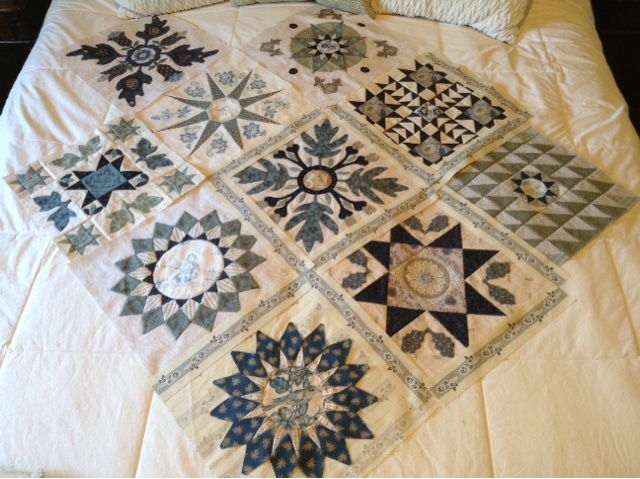 I think there's one more border to add. 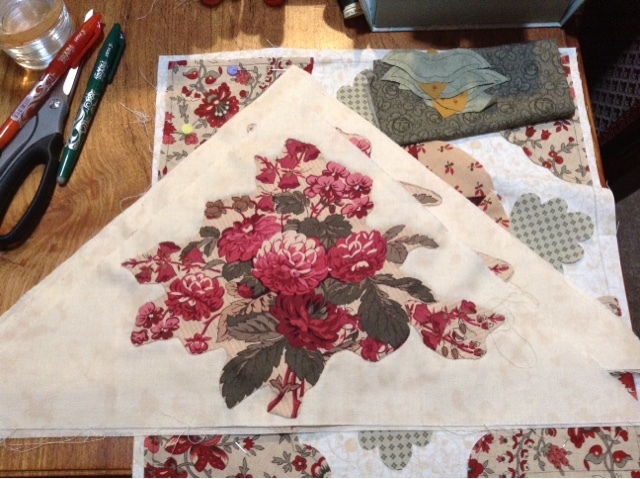 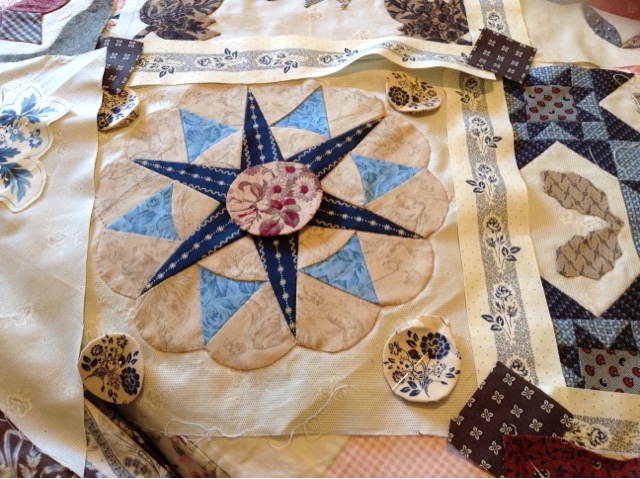 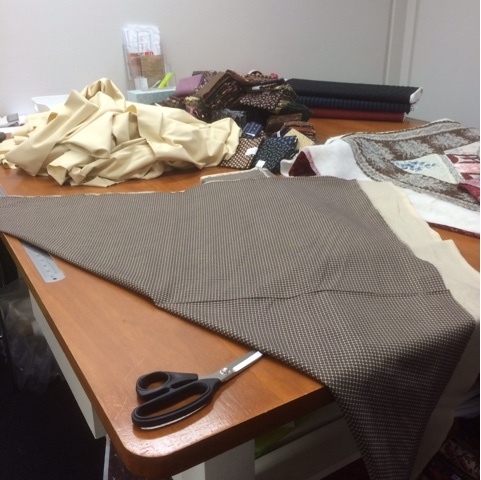 This quilt is going to be stunning! 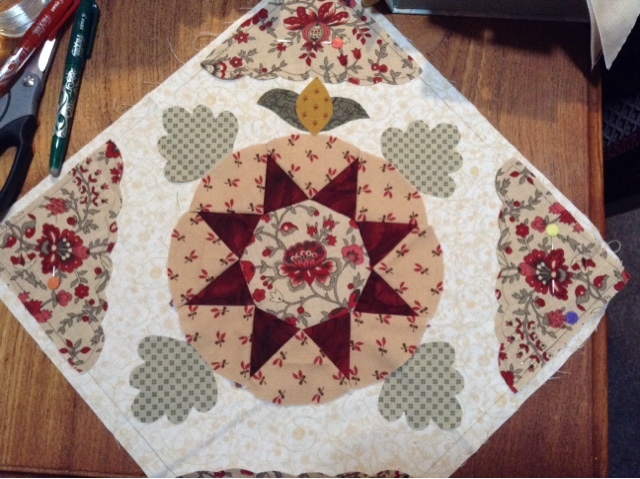 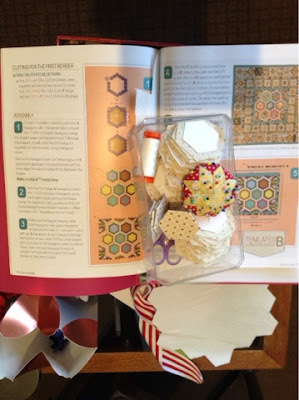 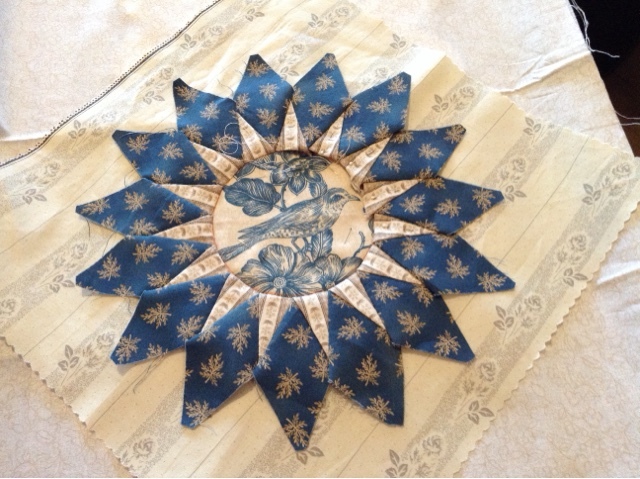 Judy has finished her centre medallions (sorry I don't have any pics) and is now making lots of hexies for the pathways and surrounds. Don't you just love that sweet little Star A Day pincushion? 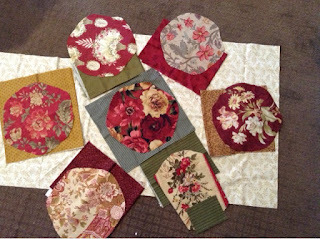 Sophie has basically finished all of her blocks which is very exciting, she laid them all out for a bit of tweaking on the final layout. She has also cut out the sashings and keystones and it's looking fantastic. 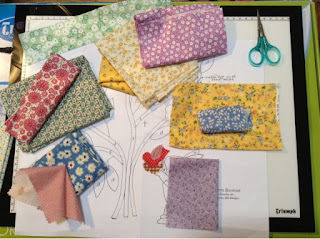 I think I might use some of those blue floral circles in my Blue AWS, if only Sofie can find where she put that fabric. 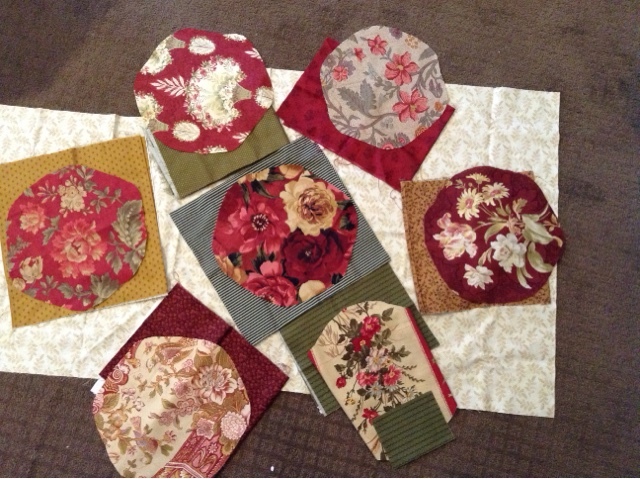 Here are my blocks laid out, I'm going to use the same sashing fabric. I spent most of my time working on Block #18. 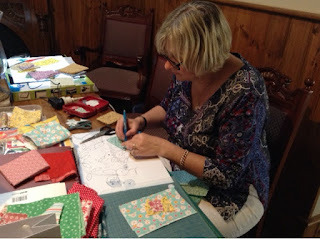 ...and is finishing off the last block. Thanks to some exciting news we all have a new project to work on - Judy is going to be a grandmother for the first time!!! 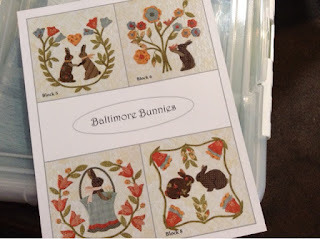 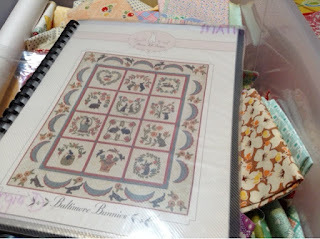 Which of course means a quilt must be made and Baltimore Bunnies has been chosen. 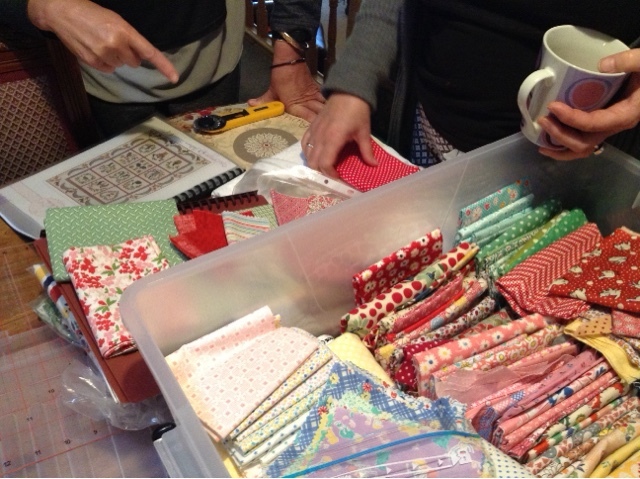 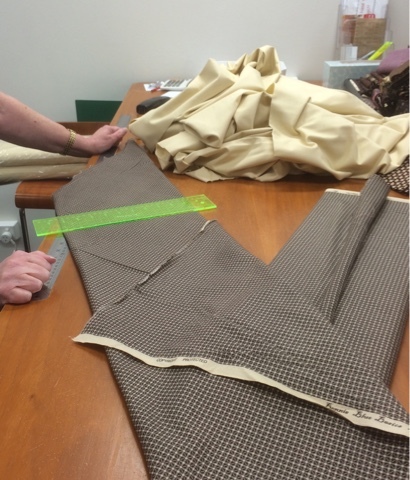 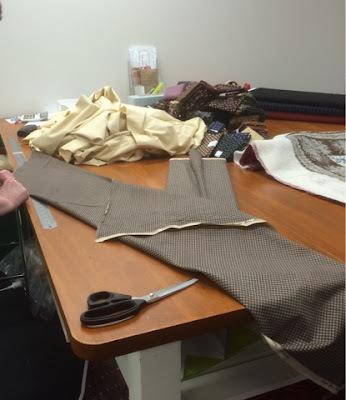 Here's Judy making binding for the stems and Lynne preparing her block. 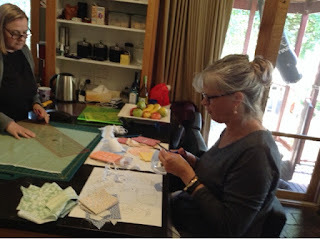 ...and Sofie preparing her block. These are the fabrics I have chosen for my block. 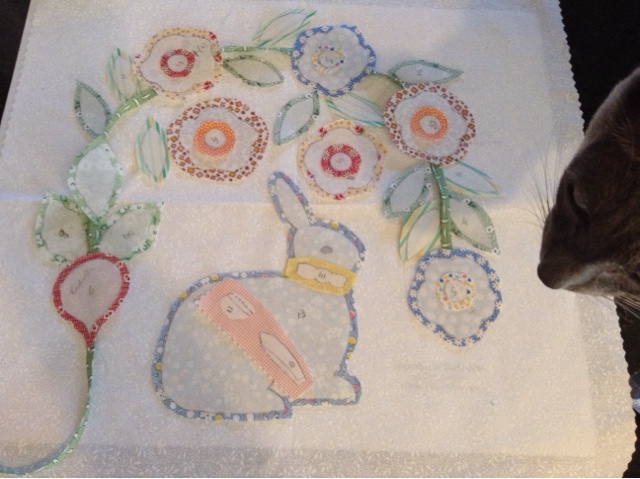 We'll have to hop to it ( sorry for the poor pun) as we only have 6 months to finish it! 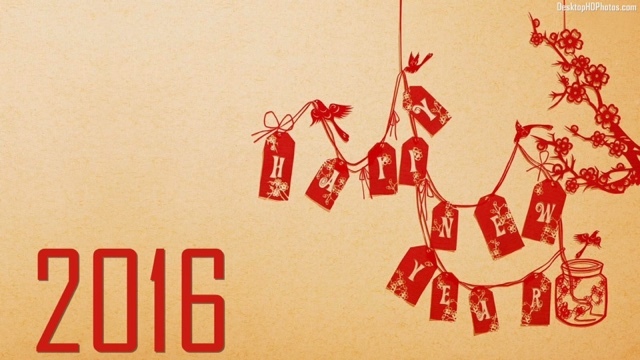 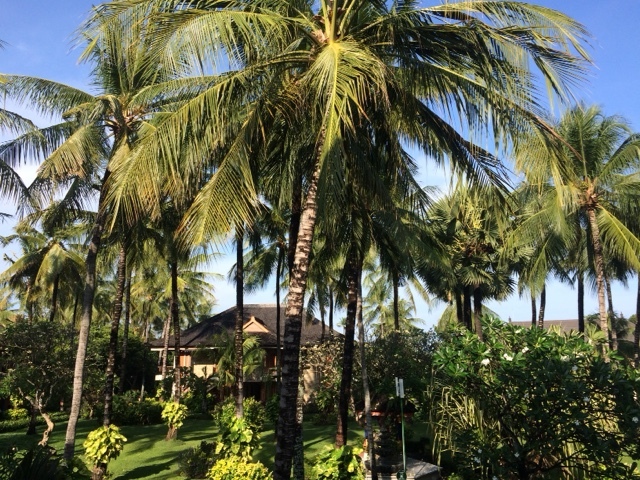 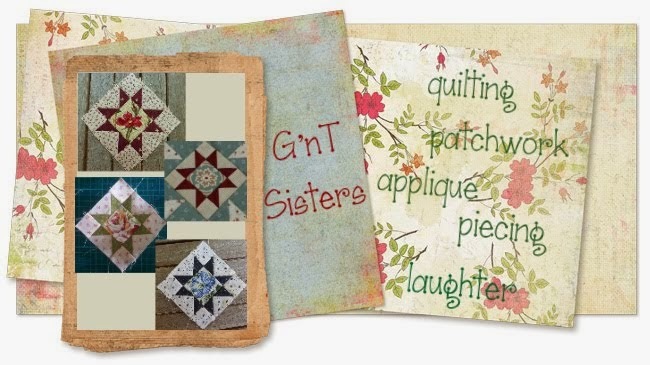 Wish us luck and wishing you a Happy New Year and all the best for 2016 from the G'nT Sisters.